Northridge Church and NYM have participated in this event for many years now, and we plan to continue that this year. FCWC will take place during the Rochester area schools' Spring Break - April 14-18, 2018. Students who participate will have sessions at a host church, Browncroft Community Church, hear from great speakers and worship with fellow believers from across the east side of Rochester. Then, they will spend their days putting on sidewalk clubs, running basketball camps for kids, and otherwise serving the people of Rochester. We're excited to participate again, but we need Parent and Adult Participation to make this event possible! In order to prepare food, oversee the details and facilitate the service projects, the Flower City leadership requires a clear ratio of adult to student participation. There are lots of details on their website about the vital role adults play, and we would love to see Northridge parents and adults jump in to serve in order to be able to send as many students as we can to this event. There are a variety of levels of participation: from overnight, to one meal to multiple days, you can find a way to serve that fits your schedule and interests! 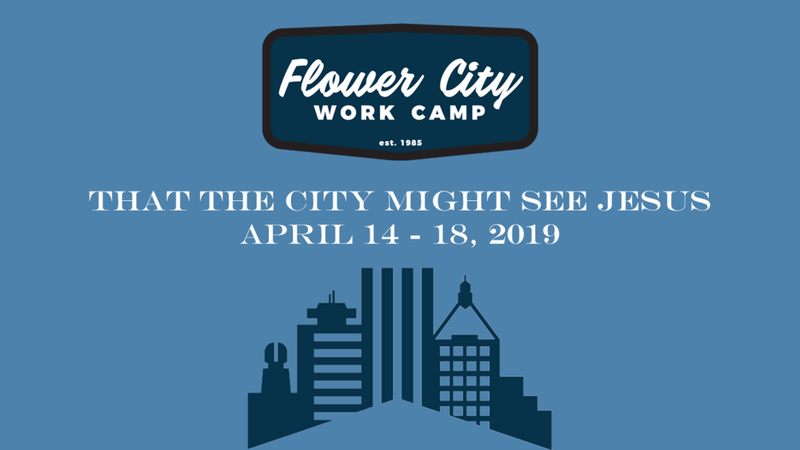 The deadline for application to serve in this way is coming up in January, but we'd love to give you a chance to figure out what areas you think you might be able to help NYM, Flower City and this event become a reality: Just click HERE to get more information on all the roles! Looking forward to partnering with you and our community in this! !